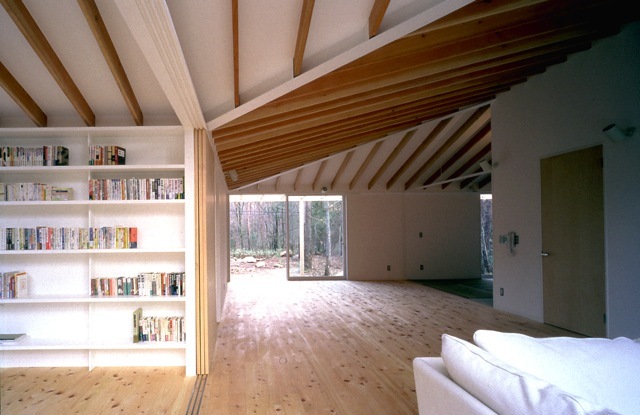 The House in Omachi is a cottage built in the woods in Shinano-Oomachi. 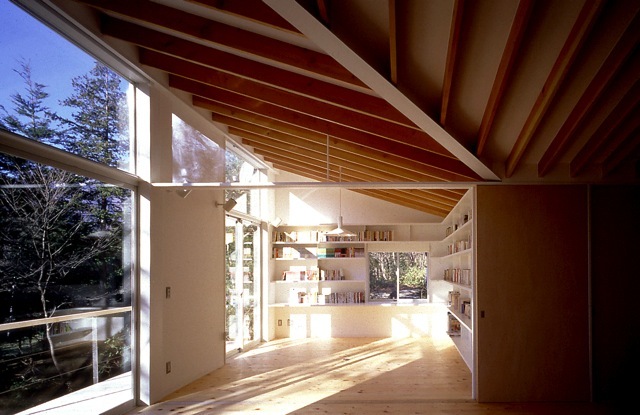 The fluid space which follows quiet compact standing and zigzag an inside lives together. 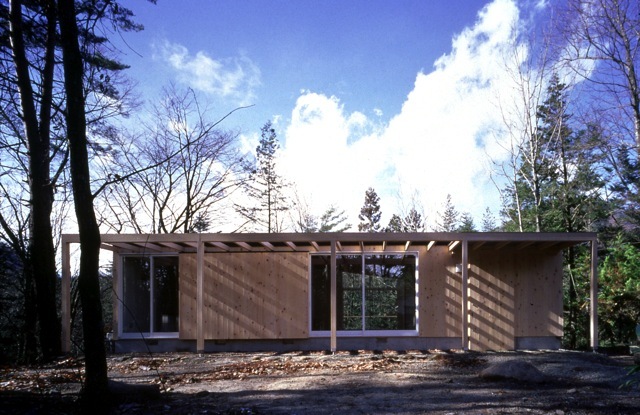 How for it to be visible by embedding a building by the half on the inclination of the site back is adopted small, and the guest room of a lower story is brought close to the little stream of a valley. It is a multi-snow area and there are rich woods in a background. Reflecting a season changes with its beauty, a windowful of nature can be enjoyed. 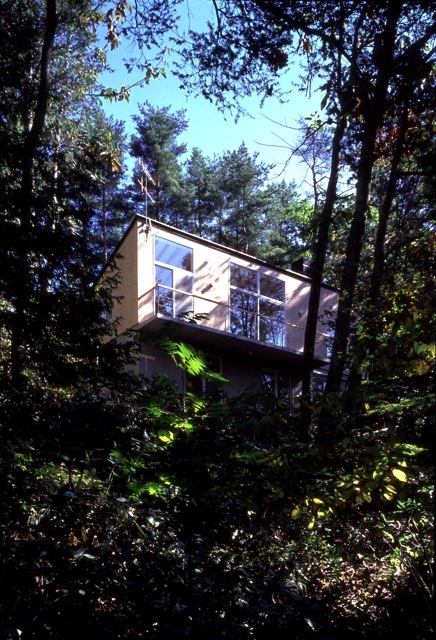 The panorama seen while flooding with hot bath with friends was a prejudice of a client. 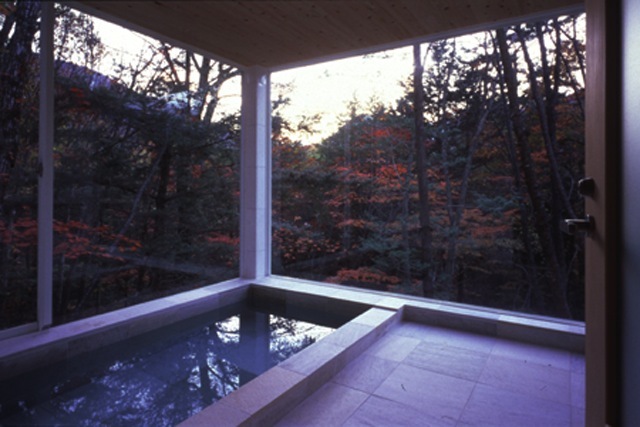 The big hot spring bathroom was allotted to the corner greatly opened to the woods side. With fresh green and wild cherry tree on spring, and autumal leaves and winter white, a Japanese monkey is also visited.